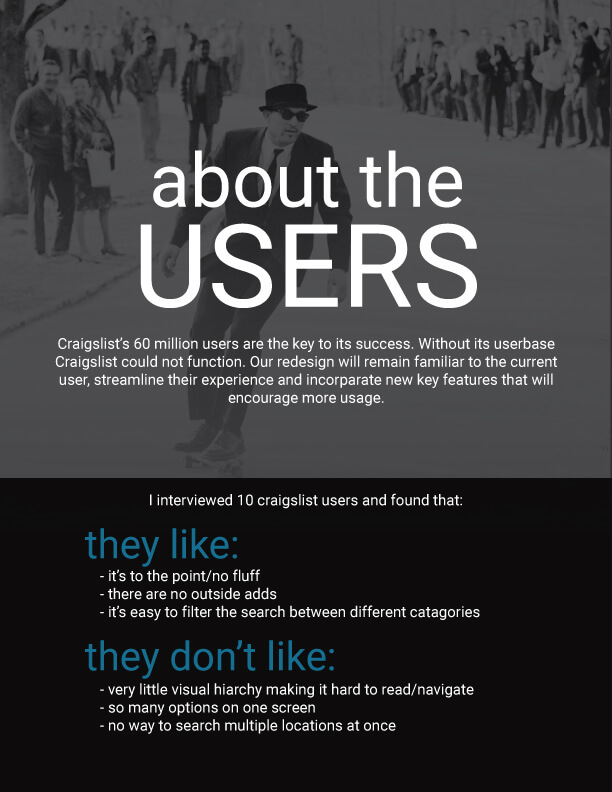 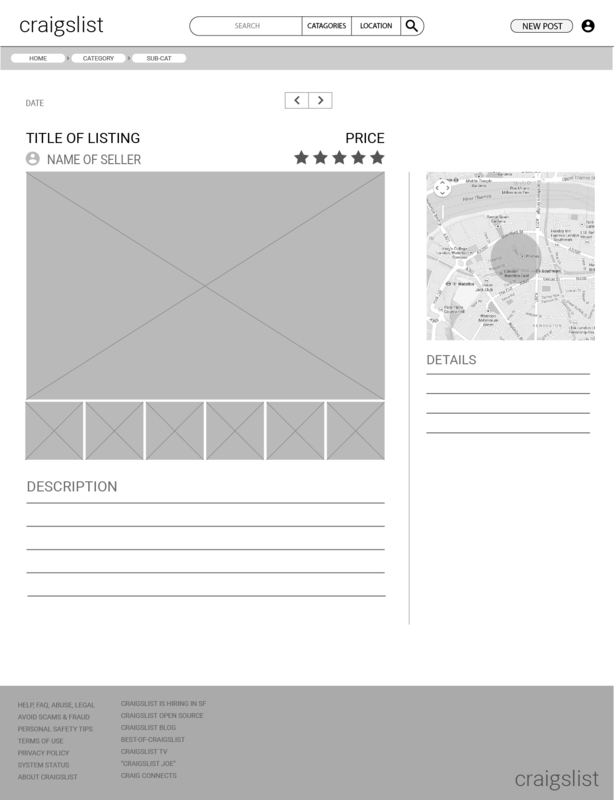 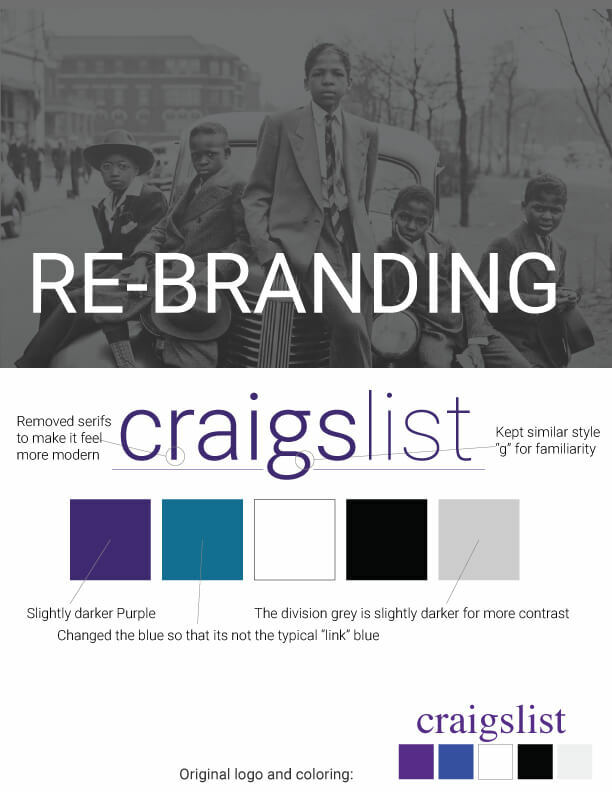 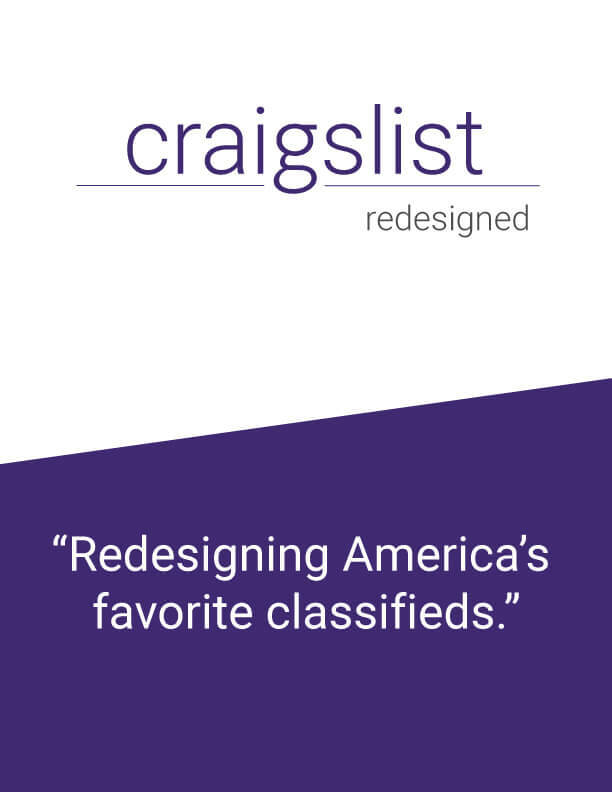 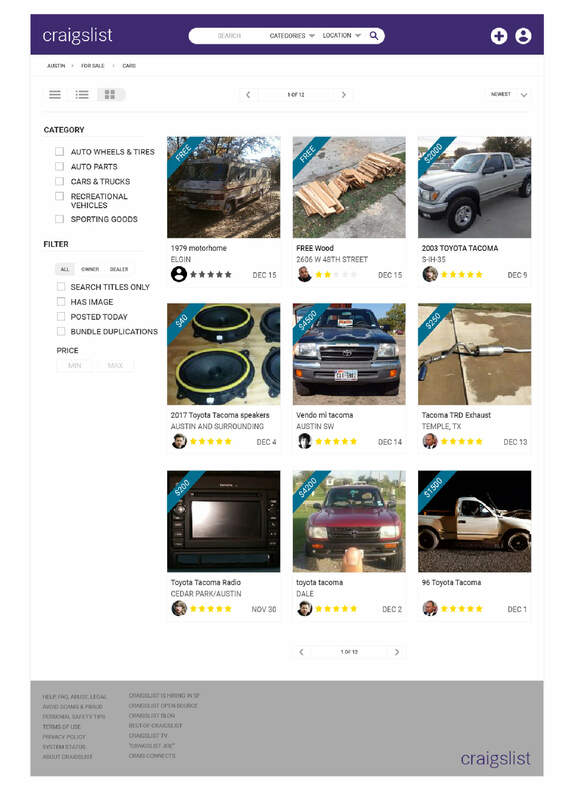 As a team of designers we were tasked to redesign Craigslist. 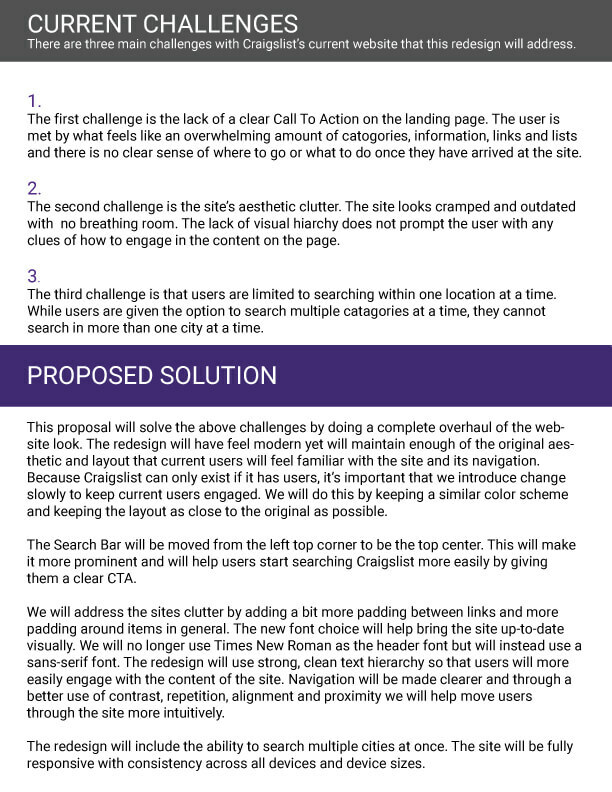 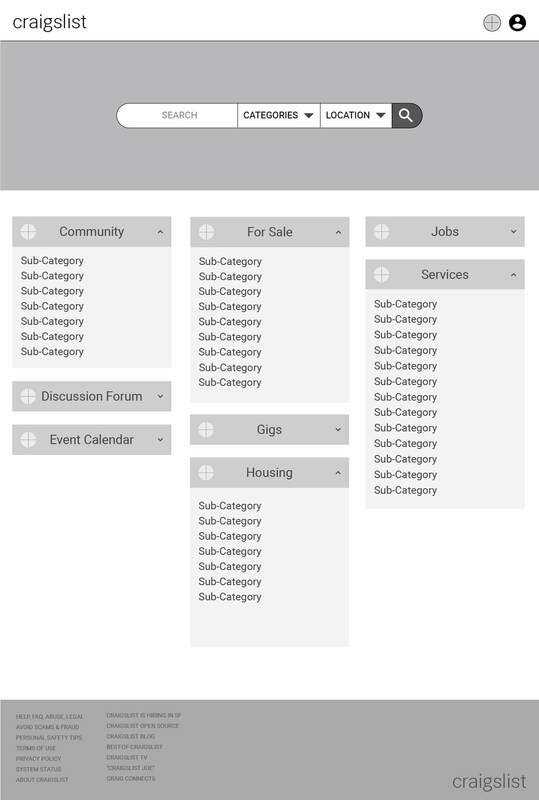 We were given one week to pitch our ideas, combine what we felt like was the best solution, as a team create wireframes, highfidelity mockups and then individually code a responsive mockup of one of the pages. 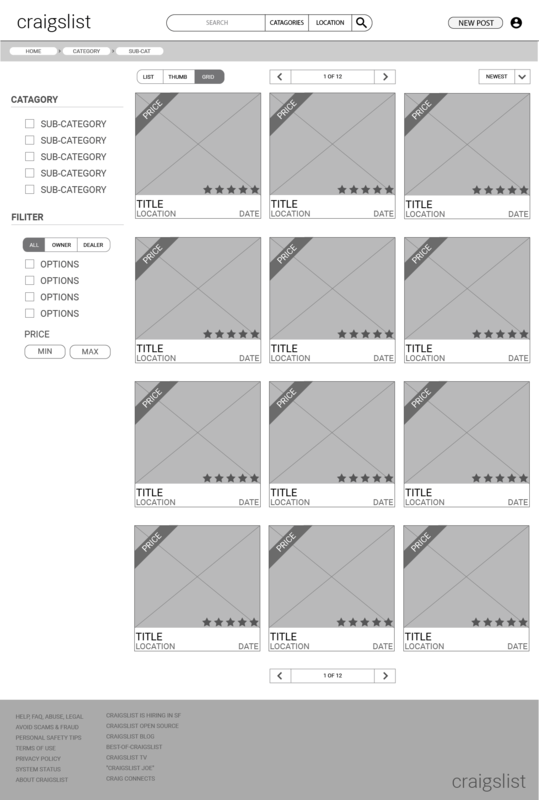 Keeping the general UX the same, we aimed to clean up the design with cleaner fonts and more white space, while keeping a similar color scheme. 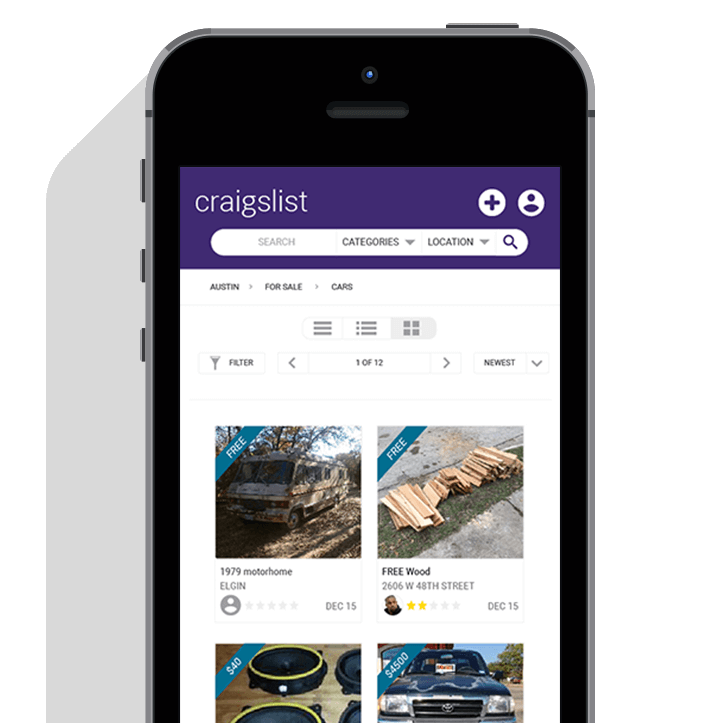 We added the option for seller's to include a profile picture of themselves to help create a sense of trust and security for buyers. 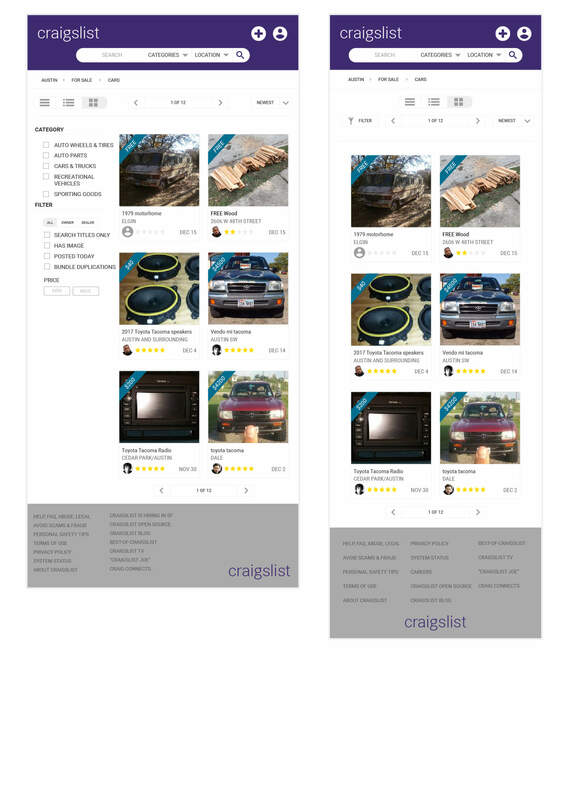 We also improved the site by making it fully responsive.